You have the same number of hours in the day as Beyoncé. 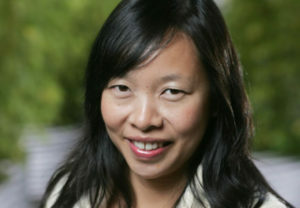 If you have a project involving environmental PR, multicultural media, energy nerd trade pubs, video promotion or social media influencer engagement, Sian Wu is the person for you. Part relentless researcher and part wild idea-generator, she’ll dive into an issue and emerge your next expert on everything from pervious pavement to sheepshead fish. Her “super power” is being able to deliver PR results, for almost any story in mainstream regional, national and international media, not to mention mom blogs and green building trades. Sian seeks and tracks the latest trends in social media and has launched new projects for clients, ranging from YouTube influencer sponsored content to Periscope—all with the goal of boosting engagement, reputation and reaching new audiences. Want to change policy? Get a video viewed hundreds of thousands of times? Talk to reporters in Mandarin? Hold a shark diving media event? Sian has you covered. Sian’s communications career was built at Resource Media, where she helped create the nation’s first network of marine protected areas off the coast of California, as well as blow up the Brazilian Blowout scandal. Since then she’s worked at the creative social marketing and PR firm C+C, where she planned and executed integrated creative, multicultural and content campaigns for a wide range of nonprofit, private sector and government clients, ranging from launching Vulcan’s sustainable seafood restaurant initiative to promoting the Department of Energy’s first reality TV web series, and helping the EPA wade into the world of YouTube celeb partnerships.